After hosting 6,028 episodes of “The Late Show,” David Letterman has only got 13 more to go, but at least he can retire knowing his hard work was appreciated. 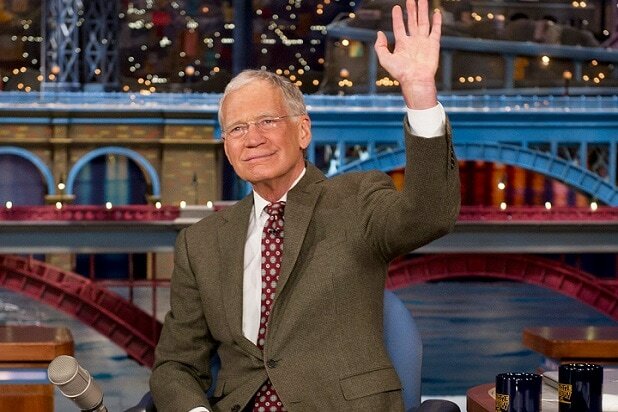 A special social media hashtag tribute of #ThanksDave sparked a slew of messages to the CBS late-night host on Monday as fans remembered their favorite moments over the past 33 years. Among the tweets were messages from stars who have appeared on the show over the decades as well as loyal viewers who have grown up watching Dave every night. The flood of emotional tributes coincided with the airing of “David Letterman: A Life on Television,” a CBS special retrospective hosted by Ray Romano that aired at 9.30 p.m. on Monday before Letterman welcomed President Obama on to the show for the last time. The final episode of “The Late Show With David Letterman” airs May 20 on CBS. Stephen Colbert is set to take over for Letterman in September. Read the tweets honoring Letterman below.